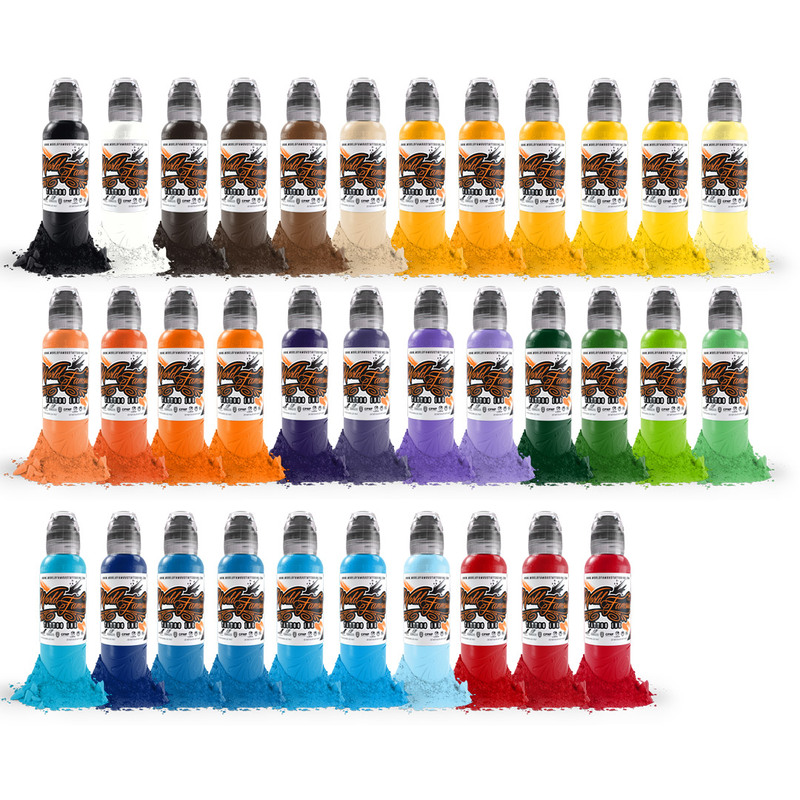 These are the top selling 34 tattoo ink colors from World Famous Tattoo Inks! We offer this set in 1/2oz., 1oz. and 2oz. bottle sizes. This World Famous Best Selling Ink Colors Set is not available anywhere else.